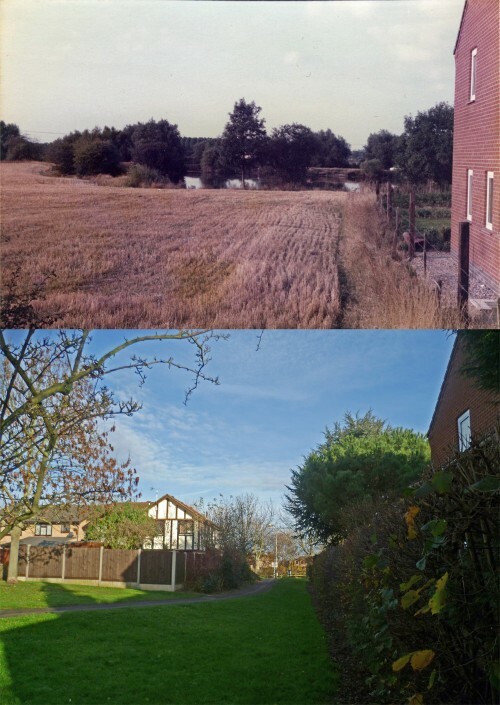 The earlier photograph was taken in the early 1980s before the Farley Way Estate was built. The house on the right is the side of 85 Loughborough Road, and on the new photograph, houses on Beardsley Road can be seen on the left. The lake in the middle distance is Springfield Lake and the houses on the far side of the lake are on Kelcey Road.